It is never too late to learn how to sail and you are never fully perfect. There are sail training courses for everybody. Or just join to relax! 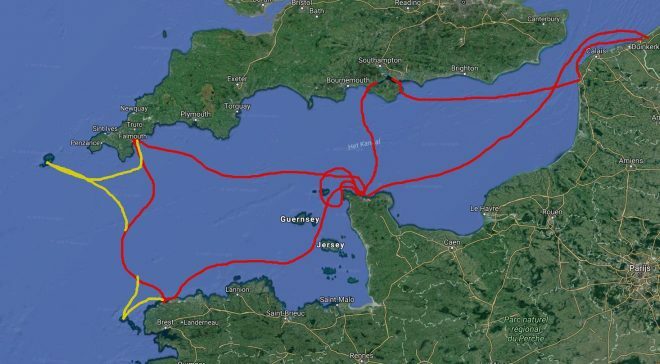 During 2018 legs on HR43 I Dolci will offer sail training in the English Channel exploring exciting places such as The Solent, The Channel Islands, Bretagne and Cornwall. Price per leg based on 2 guests sharing the spacious front cabin (double berth): 1.470 pp. Price per leg based on single occupancy of the aft cabin (double berth) : 1.970 pp. The shorter legs (“ST”) are offered at 980 € for 2 persons sharing the spacious front cabin. All prices including all food consumed onboard, harbour fees, diesel, etc. 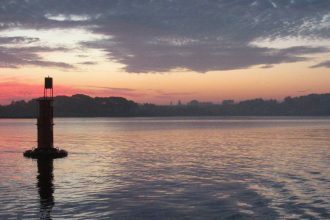 Please click here to send us an e-mail for more information regarding sailing on I Dolci and bookings. 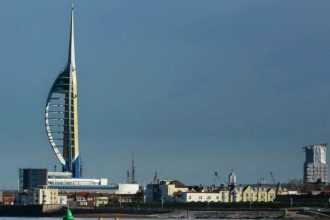 Boulogne-sur-Mer (Fr) – Portsmouth (UK), 28/04/18 – 04/05/18: We leave the continent, cross the English channel and set sail to The Solent. 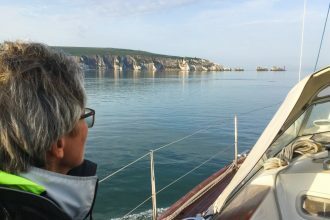 Lymington (UK) – Cherbourg (Fr), 06/05/18 – 12/05/18, We set sail from Lymington to Cherbourg and combine mile-building, navigational skills and exploration of (a part of) The Channel Islands archipel. 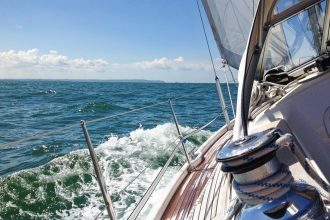 Cherbourg (Fr) – Roscoff (Fr), 08/07/18 – 14/07/18, In this leg we can explore some of the Channel Islands with its challenging navigation or head directly to the French “end of the world” : Finisterre. 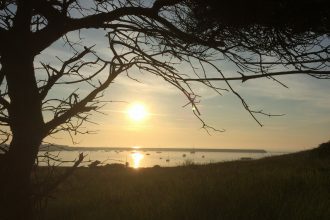 Falmouth (UK) – Cherbourg (Fr), 26/07/18 – 04/08/18, In this longer leg we can choose to head tot he Isles of Scilly or The Channel Isles, before setting sail to Cherbourg. 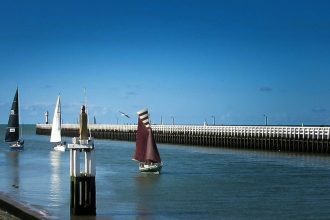 Cherbourg (Fr) – Nieuwpoort (B), 12/08/18 – 18/08/18, This leg brings us back from Cherbourg to our homeport Nieuwpoort. 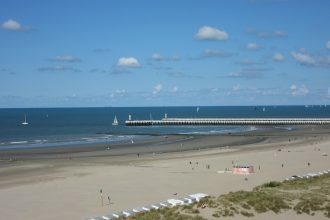 Nieuwpoort (B) – Boulogne-sur-Mer, 20/04/18 – 22/04/18, From our home port Nieuwpoort we set sail trough the “Vlaamse Banken”, the notorious sand shoals along the Belgian coast, and pass the city of Dunkerque. 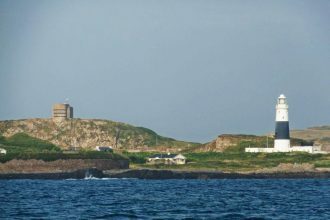 Cherbourg (Fr) – Cherbourg (Fr), 19/05/18 – 21/05/18, In this short leg we can choose either to head to the north (St-Vaast-la-Hougue) or the south (Alderney, Guernsey or Sark).